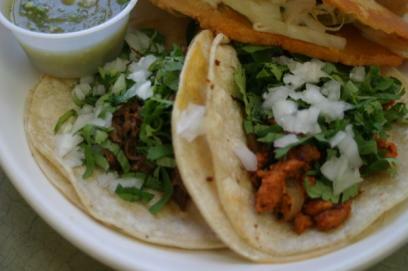 Best of The Latin Tongue: Where to Find the Best Tamales, Tacos, and Other Latin favorites. 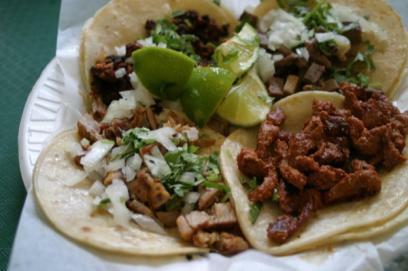 In our last post about the 10 most memorable Latin eateries in the Twin Cities, we promised to deliver a tour of tacos and tamales. With a spicy integrity, we are going to deliver just that. Here and now. 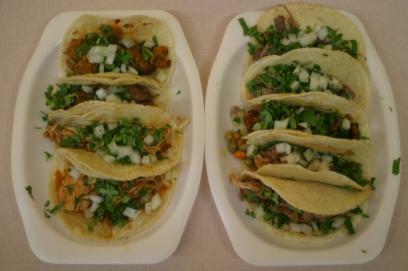 A guide that hopefully will continue to grow if you, dear reader/eater, will share your favorites and then share this list of Mexican manna, El Salvadorian sanctity, of Peruvian piety with anyone and everyone you know who loves Latin food. 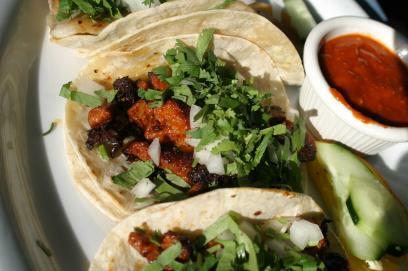 This is the latest post in our Latin Tongue series, which explores Latin eateries in the Twin Cities area. Check out the first article for the ground rules and a running list of restaurants we've covered. 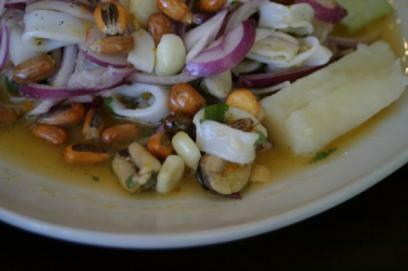 Somos Peru, literally translated as, "We are Peru," is a name that leaves no questions about what you will get. The folks at Somos Peru take great pride in the fact that they are Peruvian, and for once, there is no mishmash of cultures here. We have been to at least three restaurants that claimed to have Peruvian food, but each time, they have also had Mexican, Salvadorian, Ecuadorian, or some other Latin American cuisine mixed in. Somos Peru lets Peruvian food speak for itself without the seemingly necessary nod to burritos, tacos, and other more recognizable Latin (Mexican) foods. 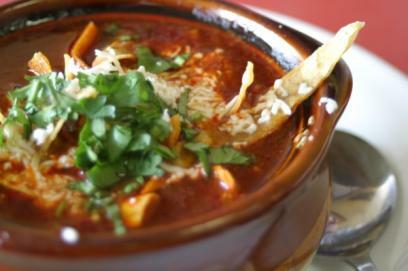 Certainly, with this kind of focus, we can learn a little about this ethnic food. 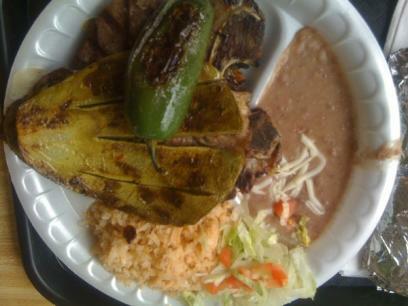 What would you do if you heard about a place called Nacho's in the suburbs? Not a chance right? Sounds like someone's excuse to serve monstrous plates of high calorie, cheese smothered food. Now, what if all you did was add the word Supermercado. Nacho's Supermercado. Ok, I suppose it sounds a bit like a joke, but it is real and it is in downtown Hopkins. We simply could not resist checking it out because nothing about the name and location made sense. I was careful not to research it so that our surprise would be complete. What we found, was definitely a surprise, in more ways than one. Were there nachos? Nope. Was it a supermercado? Not really. 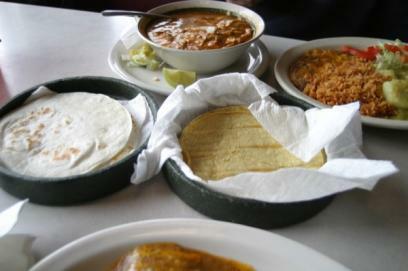 Did they have a tortilla press, excellent barbacoa and three types of tamales? Well, of course. Lucky us…again. 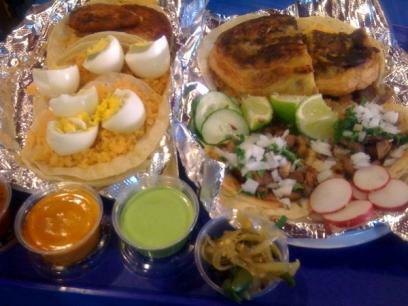 Often one of the goals in these Latin eating adventures is finding a new place, one totally off the map. Almost everyone knows the pleasure in discovery and how rare it is in today’s world. Well, we may not have found something totally unknown to everyone, but we definitely feel like we were off the map, so to speak. 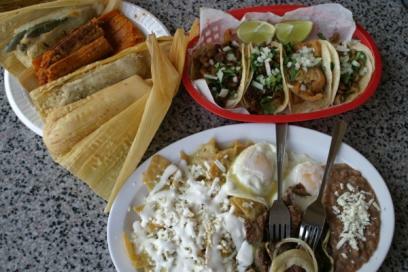 We found ourselves in the rough, but spirited eastside neighborhood called Payne Phalen in St. Paul, eating at Bymore Taqueria.